“Bermuda’s long-term insurance and reinsurance industry is marking a banner year of increased company registrations, driving vital job growth in the jurisdiction,” the Bermuda Business Development Agency [BDA] said today. “The number of Bermuda-based companies in the sector, which provides global coverage of life, annuity and pension products, more than doubled in 2018, compared to the previous year,” the BDA said. 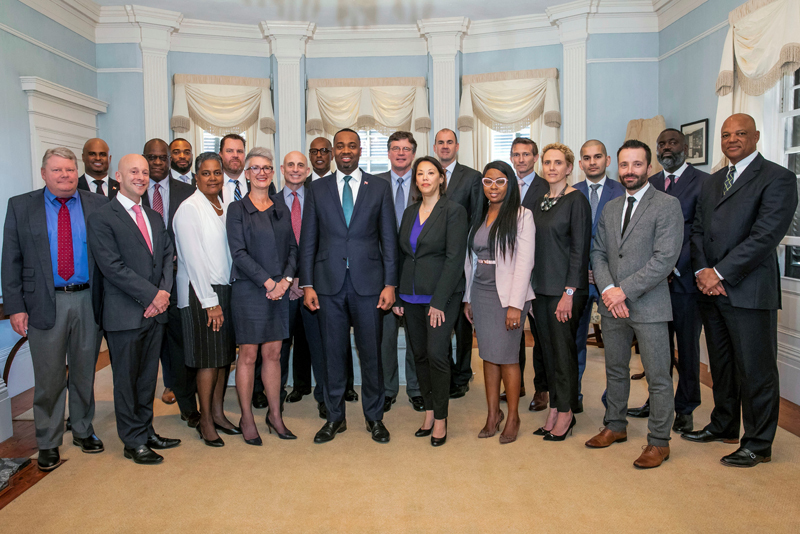 “A total of 15 new long-term companies were licensed in Bermuda last year, compared to six registrations in 2017—marking the greatest year-on-year growth across all insurance sectors, according to recent figures released by the Bermuda Monetary Authority [BMA]. “The growth in our insurance market’s long-term sector underscores Bermuda’s status as a centre of excellence and expertise in this industry,” noted Roland Andy Burrows, CEO of the BDA. The long-term re/insurance sector was responsible for the creation of at least 37 corresponding new jobs in 2018, according to the Bermuda Business Development Agency [BDA]. “Bermuda has become one of the most respected global hubs for long-term insurance and reinsurance business, with an accessible regulator and both NAIC qualification and Solvency II equivalence—one of only two jurisdictions in the world to achieve the latter,” said Ronnie Klein, Senior Advisor to the Bermuda International Long Term Insurers & Reinsurers [BILTIR], an advocacy group that represents 58 member companies, including licensed re/insurers and service providers. “Executives of BILTIR—which has published a new fact sheet—joined BDA representatives at a lunch hosted by Premier David Burt, Minister of Finance Curtis Dickinson, and Minister of National Security Wayne Caines this month to discuss the sector’s growth, its employment criteria, global reach, and local educational initiatives,” the BDA said. “Among community outreach projects, BILTIR provides student internships, an annual scholarship, lunch-and-learn sessions, and a math-tutoring programme for island high-schoolers. Representatives of member companies, joined by the BDA, will attend the 13th annual ReFocus event in Las Vegas next month. Co-hosted by the American Council of Life Insurers [ACLI] and the Society of Actuaries [SOA], the March 10–13 conference attracts more than 700 attendees. The delegation aims to highlight the Bermuda market’s burgeoning life sector, as well as BILTIR’s own annual life and annuity conference, scheduled for Thursday, September 19 at the Fairmont Southampton Hotel.